One year after trading Jason Heyward for Shelby Miller, the Atlanta Braves have traded their young pitching stud in a new package for a promising young player and prospects. Miller, 25-years-old with three years of team control left, was sent to the Diamondbacks in exchange for outfielder, 25-year-old Ender Inciarte, pitching prospect, Aaron Blair and former number one overall shortstop, Dansby Swanson. For the Diamondbacks, it’s a deal which sets up the front of the rotation for several years. After signing Zack Greinke last week and being in on Mike Leake until acquiring Miller, it was clear the D Backs had a top focus in pitching this winter. Greinke and Miller will join a healthy Patrick Corbin in what is shaping up to be a solid rotation in Arizona. Miller, entering his fifth major league season, came up with the Cardinals before pitching 2015 in Atlanta to the tune of a 3.02 ERA in 205.1 innings. A top arm despite a 6-17 record and virtually no run support, Atlanta had insisted on AJ Pollack in a return for Miller until Tuesday. Instead, Atlanta will receive Inciarte, a contact hitting outfielder who broke out to a .303/.338 slash line in 2015 and stole 21 bases while playing all three outfield positions. Inciarte will not be a free agent until 2021. Blair is a 23-year-old major league ready prospect who clocked in as #3 overall for Arizona and 61st in Baseball according to Baseball America. Blair pitched to a 3.16 ERA in his final 77 innings at AAA last season in 12 starts after spending the first half of the season in AA. 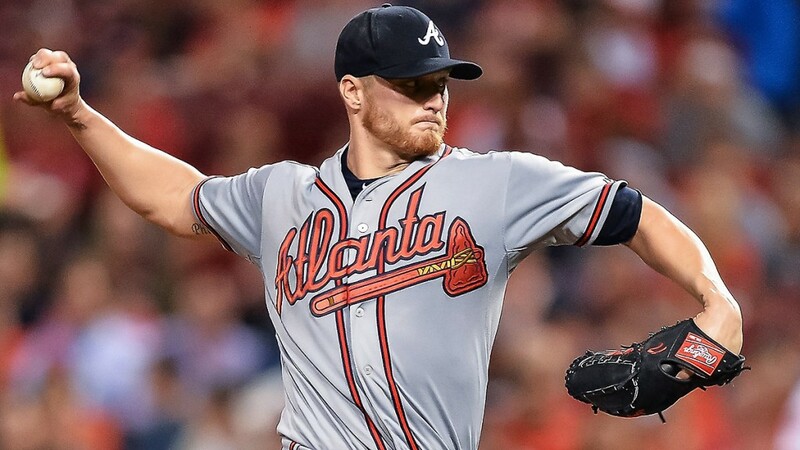 He will likely compete for a spot in the rotation in Atlanta, joining a crowded stable of pitching prospects Atlanta has acquired over its last two seasons of rebuilding. The final piece of the puzzle completes a dubious distinction for the Diamondbacks as it relates to the Braves. Dansby Swanson was Arizona’s first pick last season and the number one pick overall. Arizona has now dealt two of its last three first overall selections to Atlanta (Blair additionally going 36th overall and as the second pick for the D Backs in 2013). Swanson, a Georgia native, got his feet wet in low A ball last season and while highly touted as a number one selection, is years away from the majors and only 21-years-old. The Braves effectively traded one year of Heyward for Tyrell Jenkins, Blair, Swanson and five years of Inciarte between the two trades.